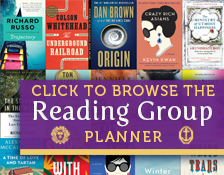 The questions, discussion topics, author biography, and bibliography that follow are meant to enhance your group’s reading of Kazuo Ishiguro’s The Unconsoled. We hope that they will provide you with new ways of looking at—and talking about—this mysterious and infinitely provocative new novel from the Booker Prize-winning author of The Remains of the Day. With superb control and a masterly ear for the accents of repression, Ishiguro has created a work that is both farce and nightmare and that explores the terrible wounds that families inflict on their members and societies on their citizens, the cult of culture, and the straightjacket of celebrity, and dramatizes these themes within the arena of an imaginary city that might be located in today’s Germany, in Kafka’s haunted Central Europe, or in the maddeningly elastic landscape of our dreams. Into that city comes Ryder, a musician acclaimed as “the world’s finest living pianist…perhaps the very greatest of the century” [p. 11]. He has been summoned to give a performance that may be the most important of his life. But the exact nature of the impending performance eludes him, since Ryder is afflicted with large gaps of memory. He seems to have visited this place before—he soon discovers that he has a wife or mistress here and a little boy who may be his son—but he cannot remember when. He has forgotten the details of the Herculean schedule that his handlers have prepared for him. And he is repeatedly startled by figures from his English past who appear surreally in the town’s winding streets, on its trams, and in the houses that Ryder visits on a geometrically increasing series of cryptic and outlandish errands. Ryder cannot remember what he or these people are doing here, but everyone remembers him. And everyone wants something from him. In the course of the next three days, Ryder is called on to visit childhood friends, peruse albums of clippings, judge musical rehearsals, reconcile estranged families, plead the cause of a disgraced orchestra conductor, and even serve as the guest of honor at the funeral of a total stranger. Behind all these requests is the omnipresent expectation that he somehow restore the morale of a community gripped by a profound despair. It is a despair that is expressed in terms of culture, but that infects the most intimate corners of its victims’ lives. For this is a town that idolizes its artists and suffers a collective breakdown when its idols fail. It is Ryder’s crippling defect of character that he can refuse none of the requests that are made of him—except, perhaps, for the ones that truly matter. Even as the pianist desperately tries to meet his “responsibilities”—and to grasp the situation that he is supposed to salvage—it becomes clear that he is both a flawed messiah and a tragically limited human being. With his exaggerated sense of public duty and his stifled, self-deluding voice, Ryder is reminiscent of another Ishiguro character, the butler Stevens who narrates The Remains of the Day. Ryder, too, is at once the beneficiary of a social order and its uncomprehending victim, a man who has sacrificed his life on the altar of a particular kind of service. And as he did in his earlier novel, Ishiguro here creates a densely populated and fully realized world, at once unrecognizable and familiar, vivid yet soul-sick, from which we come away with an altered awareness of our own. 1. One of the first things we learn about this novel’s protagonist is that he is at least partly amnesiac. What role does Ryder’s amnesia play in The Unconsoled? How does it determine his behavior? Why doesn’t he ask other characters to fill in the gaps in his memory, and what complications arise from this? 2. In the course of the novel, Ryder gradually recovers part of his memory. When and how does this happen? How is Ryder changed by the restoration of his memory? Does he want to remember? The recollection of a forgotten past plays an important role in classical Greek tragedies, such as in Sophocles’s Oedipus, where it is called anagnoresis. In what ways does Ryder resemble—or differ from—classical tragic heroes? 3. If Ryder is amnesiac, he is also occasionally omniscient. While riding with Stephan Hoffman, for example, Ryder vicariously recalls an incident in which the young man disappointed his mother [pp. 65-71]. Later he seems to read the minds of both Miss Collins [pp. 320-327] and her former husband Leo Brodsky [pp. 359-361] as each recalls the origins of their marital rupture. What are we to make of Ryder’s moments of omniscience? Why do the other characters seem unsurprised by his powers? How is Ryder’s preternatural grasp of other people’s pasts related to his inability to remember his own? 4. From the moment of his arrival, Ryder discovers that other people, many of them perfect strangers, know a great deal about him. What might account for these characters’ familiarity with Ryder’s affairs? Is the knowledge these characters possess about Ryder actually trustworthy? 5. With its narrow streets, gemütlich Old Town, and officious, Teutonically named citizens, the town in which Ryder finds himself might be any small city in Germany or Austria. Yet at times it also resembles—or actually becomes—the England where Ryder grew up. Then, too, space and time in this setting are oddly distorted. A broom closet opens onto the kitchen of a restaurant that should be miles away; journeys that seem to take hours last only a few moments. Why might Ishiguro have chosen to make his setting both realistic and surreal? Does the book’s hybrid environment have a counterpart in its narrative or style? Are there moments when the novel’s characters behave logically and others when they act more like figures in a dream? 6. Why does the porter insist on carrying more bags than he can comfortably handle [pp. 5-8], an insistence that is ritually enacted in the dance that eventually kills him [pp. 396-407, 421-425, 525-527]? What other characters in this novel take on onerous burdens? For what reasons and with what results? 7. Gustav asks Ryder to act as a go-between between him and his daughter Sophie, with whom he maintains a cordial but utterly silent relationship [pp. 27-30]. What are the origins of their silence? Where else in The Unconsoled do we encounter families whose members have ceased to communicate? How do the characters in this book justify their silence toward people they claim to love? Has Ryder done the same thing? And has he, too, been a victim of other people’s silence? 8. Gustav is only the first person in this novel to ask something of its protagonist. What kinds of things is Ryder asked to do? Which of these requests has any relation to Ryder’s actual abilities? Why does he keep agreeing to them? At what points in the book does he refuse a request, and with what outcome? 9. Ryder’s attempt at defending Fiona Roberts before her snobbish neighbors fails when Ryder is unable to speak [pp. 228-241]. On the other hand, his appearance at the bizarre memorial for Brodsky’s dog [pp. 135-147] should be a fiasco, since Ryder accidentally exposes himself before the guests, yet is received with enthusiasm [p. 155]. How successful is Ryder at meeting other people’s expectations? Does Ryder succeed at his largest task, the rehabilitation of Brodsky and the redemption of the city? What factors account for Ryder’s failures, as well as for his hosts’ habit of perceiving those failures as triumphs? 10. Underlying all these disparate demands, Ryder intuits a greater, collective one: that he somehow bring order to a “situation” teetering on the edge of chaos and rescue the city from its unspecified crisis. Are Ryder’s perceptions accurate? Is this artist really supposed to be a savior? Or is it equally possible that Ryder is merely inflating the normal demands made on celebrities into a megalomaniac mission of salvation? 11. What sort of requests do Sophie and Boris make of Ryder? How does he respond? Why is he so angry at Sophie, whom he inwardly accuses of bringing “chaos” into his life [pp. 179, 243, 289]? What happens on those occasions when he tries to show affection to the little boy? How has Ryder’s behavior affected these characters? 12. Both Ryder and Sophie repeatedly disappoint each other. Sophie is always apologizing for her failure to find a new home [pp. 34, 224]. Ryder is continually justifying his absences [pp. 37, 258, 444]. Toward the novel’s climax, even Boris is apologizing. What other characters in this book have disappointed the people closest to them? How do they treat their trespasses and the failures of their spouses, parents, and children? Is any of them an accurate judge of his or her own conduct? And does any of Ishiguro’s characters make an honest attempt to redeem the emotional damage that he or she has done? 13. Boris is obsessed with a toy soccer player called Number Nine [pp. 40-42, 162, 206-216]. Ryder, too, is preoccupied with football players [pp. 161-162] and as a child used to play with toy soldiers [pp. 34, 261]. In what other ways do these two resemble each other, and how does this resemblance become more pronounced as the novel progresses? In what ways is Boris’s childhood a reprise of what we know of Ryder’s? 14. From the moment of his arrival, Ryder finds bits of England intruding into the landscape. His hotel room turns out to be a room from his childhood. Elsewhere he comes across his parents’ car and his former friends Saunders, Parkhurst, and Fiona Roberts. How does Ryder feel about the apparitions from his past? How is he changed by his encounters with them? How do these episodes in turn change the reader’s perception of the protagonist? What, in particular, do we learn about Ryder’s parents, whose arrival in town is eagerly anticipated throughout the book? 15. None of Ryder’s hosts is more solicitous than Hoffman. He fawns over the pianist elaborately and is so fearful that Ryder’s room may be inadequate that he not only moves him to better quarters but has the old ones demolished [pp. 120-122, 156]. Yet behind the obsequiousness is a hint of menace. Hoffman becomes enraged by Ryder’s failure to look at his wife’s albums [pp. 503-505]. And he is equally capable of rehabilitating the ruined Brodsky [pp. 56-60] and of ruining him once more when it suits his purposes [pp. 427-441]. How should we interpret the inconsistencies in this man’s behavior? Is Hoffman’s rage related to the guilt he feels toward his wife? What other characters in this novel are similarly divided, publicly composed while inwardly seething? Does Ishiguro suggest any collective origin for this split? How is this schism reflected in the novel’s language? 16. In the course of his movements, Ryder meets three other musicians. One, Stephan Hoffman, has yet to prove himself but is inwardly convinced of his mediocrity. Another, Christoff, was once revered by the townspeople but has now fallen into disfavor. A third, Brodsky, is a drunken wreck who has been dredged from the gutter and is now being touted as the town’s salvation. Which of these musicians may be said to be a genuine artist, and how is his art received? In what ways does Ryder resemble each of them, and which of them is he most afraid of resembling? 17. What is the significance of Brodsky’s wound? Is he just referring to his missing leg or to an older and more grievous injury? What other characters are similarly wounded? Is Brodsky correct in seeing both music and love as mere “consolations” for unhealed injuries [p. 313]? How do Ryder’s ideas about music correspond to Brodsky’s? 18. Although Brodsky initially seems pathetic, he gradually rises to a stature that is at once tragic and heroic. Of all the novel’s characters, only he is capable of expressing tenderness and desire directly (and even obscenely). Yet by the novel’s end he has collapsed into drunkenness once more, and his estranged wife has accused him of ruining both their lives: “You’d destroy it all, you’d destroy everything, pull it all down around you just as you did before. And all because of that wound. Me, the music, we’re neither of us anything more to you than mistresses you seek consolation from. You’ll always go back to your one real love. To that wound!” [p. 498]. Do we agree with her? If hers are the truest words spoken in this novel, how are we meant to judge not only Brodsky, but all the other characters who have devoted their lives to high culture? Is the town’s artistic obsession genuine? Has art been the cure for these people’s soul-sickness or its cause? 19. What changes take place in the course of this novel? How is the Ryder of the novel’s end different from the one who strode confidently into the hotel at its beginning? Which of the book’s other characters have been transformed? How does The Unconsoled change the perceptions of the reader? 20. Why might Kazuo Ishiguro have made this book’s protagonist a man who cannot remember? What does he achieve by making Ryder both a limited first-person narrator and an omniscient third-person narrator? To what extent can we trust this man’s perceptions? What role does the resulting uncertainty play in our experience of the book as a whole? 21. Is it possible to read The Unconsoled as Ryder’s dream? If so, how does the author succeed in turning the notoriously idiosyncratic material of dreams into something universal? Dante Alighieri, Purgatorio; William S. Burroughs, Naked Lunch, The Place of Dead Roads; Willa Cather, The Song of the Lark; Ralph Ellison, Invisible Man; Kazuo Ishiguro, An Artist of the Floating World, The Remains of the Day; James Joyce, Ulysses; Franz Kafka, The Trial, The Castle, The Metamorphosis, “The Hunger Artist”; Cynthia Ozick, “Envy, or Yiddish in America” in The Pagan Rabbi and Other Stories; Thomas Pynchon, V.; Philip Roth, The Professor of Desire, The Ghost Writer, Operation Shylock; Jean-Paul Sartre, No Exit; Bruno Schulz, Sanatorium Under the Sign of the Hourglass. Read an author bio and view a complete list of titles by Kazuo Ishiguro available from Random House here.